Having read all of John Connolly’s novels I was ecstatic when I found his latest in a bookstore while on a trip to Australia. His Charlie Parker series is one of the best “detective” series out there. I put detective in quotes because anyone who has read any of the books knows Parker is different from any other detective. This is a good place to point out that if you have not read the previous books, don’t buy this one until you have. While Connolly writes far and above most popular writers, his continuing story of Parker needs to be read in order if one is to truly appreciate each book. This one is no exception. The last book ended with Parker shot up and nearly dead and this one picks up with him recuperating. The story line follows a group of Nazi war criminals who have been living in Maine undetected until now. Parker’s sidekicks, Louis and Angel, are looking out for him, as always, and many of the characters from previous novels appear on cue. Parker discovers somethings about his living daughter that I won’t reveal here, but this sets us up for the next novel or, hopefully, novels. 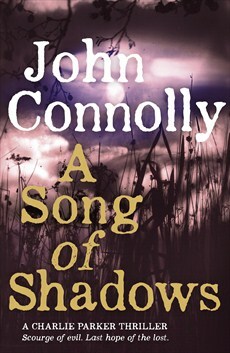 Connolly writes with flair and eloquence, and his descriptions can be unnerving as well as humorous. In this book we are treated to not only a vivid history lesson on concentration camps, but also a diatribe on the factors that allowed Hitler to become the monster we all know. I cannot recommend the Charlie Parker series enough, and this latest installment just proves how an author can continue to entertain book after book. My only negative comment is that in the UK version I found two typos, and two places where a word had been left out. Hopefully, the US version will catch these.